We encourage you to use these four areas as a way to track your progress. 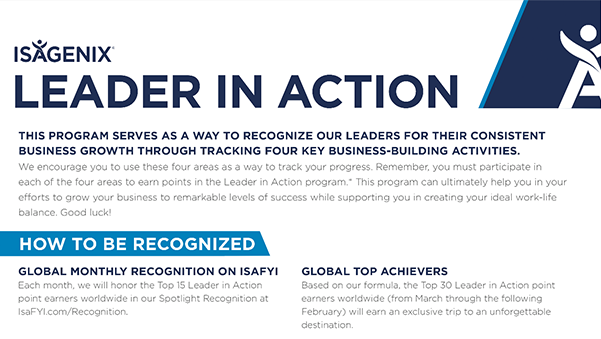 Remember, you must participate in each of the four areas to earn points in the Leader in Action program. * This program can ultimately help you in your efforts to grow your business to remarkable levels of success while supporting you in creating your ideal work-life balance. Good luck!